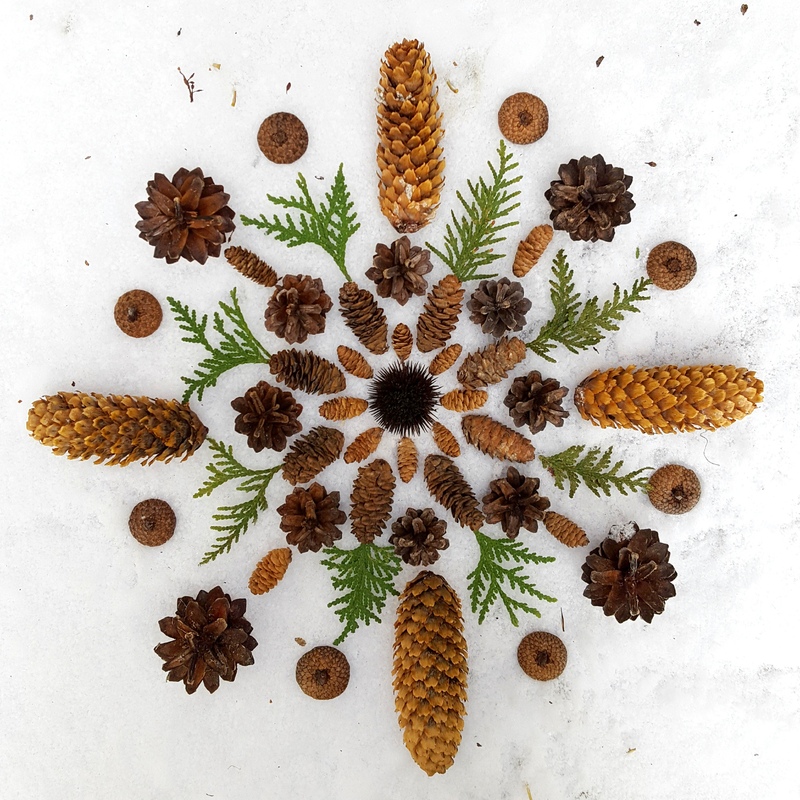 This entry was posted in Art, Mandalas, Nature, Winter and tagged Art, Evergreens, Nature, Photography, Pinecones, Trees, winter. Bookmark the permalink. The glory of leaves of autumn fades. and the scent of cedar and pine. This earth-floor mandala is unique and so beautiful. This is another wonderful mandala Julie! Like Annette, it makes me think of wreaths. I bet it could be turned into a nice wreath. This is so beautiful, Julie, each one you make surpasses the previous. It would make a wonderful Christmas card! You are so talented! Wouldn’t this be pretty as a table centerpiece–yes, it would!! I really enjoy your mandalas. This one has such beautiful warm browns. LOL yes! and sell them! !